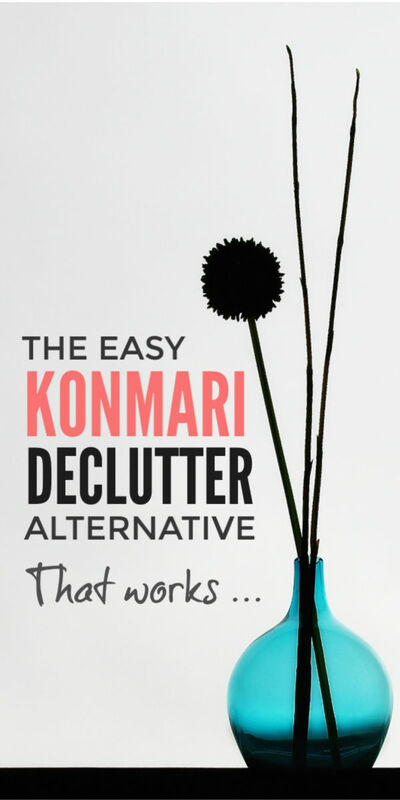 You know you want to declutter, right? I mean that’s why you are reading this, isn’t it? All that clutter has got you hopping mad. Or even downright miserable. And you know you will be happier without it. It just seems so daunting doesn’t it? You’re short on time – or dog tired – and you’ve tried decluttering before and it didn’t work. You may have even have started the Marie Kondo method everyone talks about and found it left your home in a bigger mess and never got past the first drawer. So what can we do, to get ALL that clutter out of our homes and enjoy our lives again? Takes only five minutes a day. AND truly has been life changing. I am so much happier without a home full of clutter. Sounds good, heh? But you’re a bit sceptical, right? I mean how on earth can it be so easy when we all find decluttering so hard? Marie Kondo is the hare: dive in, yank loads out, make a big old mess … and stop for a nap. You might clear five bags of stuff. Or even 10. Or 20. Which is great, as a start. But NOT if that’s it. And you give up exhausted. Just 10 Things – on the other hand – is the slow and steady tortoise who wins the real race. He only clears a few bags the first week. But he does that every single week and by the end of the year he’s cleared 100 bags of clutter. ALL you do, is spend 5 minutes or so every day spotting clutter you are ready to let go. The forgotten and unused and not-truly-loved-any-more things that have outstayed their welcome and become a burden. Really? You SCREAM in disbelief? How on earth will that clear my mountain of clutter? 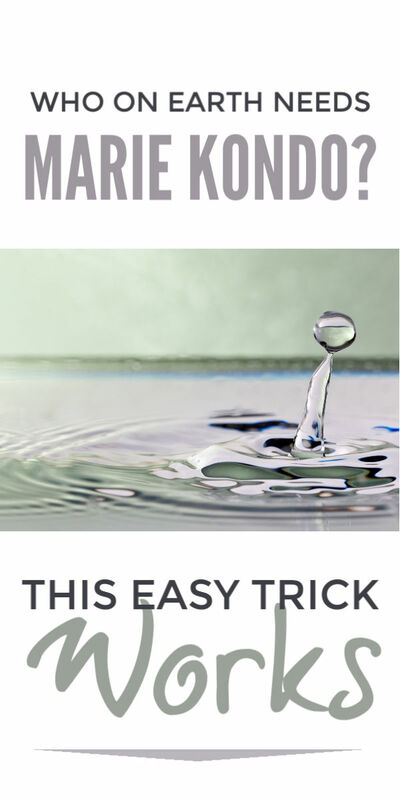 Well, this very method helped me clear over 200 bags of clutter and make money selling it and it can do the same for you. I promise. (If you’re less bothered by the why – and that’s fine – whiz down to section 3 and get started). 2. Why Just 10 Things Works? The secret power of just 10 things lies in some numbers AND some clever psychology. IF you let go of just 10 things every day you will in one year declutter 3,650 items. Wow! That’s a LOT of clutter isn’t it? Imagine having over 3,000 fewer things in your home? That would be lots of lovely space wouldn’t it? And a lot less chaos. But the just 10 things method does something much, much, more AMAZING than that. And this is where the psychology comes in: some bad psychology and some good stuff. You see, there are enormous emotions hidden deep in all our mountains of stuff. There’s anxiety, guilt, loneliness, fear and even love. And they’re pretty powerful feelings, huh? And stomping all over them – what most declutter methods do – doesn’t help us one jot. Yanking a load of stuff out on the floor and demanding instant decisions about what to keep, leaves us overwhelmed and drained. AND that is a disaster. Because it tells our brains decluttering is a total nightmare and we should avoid it like the plague. What we need, is some good psychology to work with our emotions and motivate us. Just 10 things is kind to our deep feelings and uses them to help us let go of stuff. It starts with the things we are ready to let go. There are actually hundreds of them big and small hiding in plain sight in our homes. We don’t yank piles of stuff out. We don’t make a mess. And we only spend 5 minutes on it. Decluttering is easy, I’ve got this! I’ll do some more tomorrow. … and before we know it we’ve cleared 200 bags of clutter from our homes and can breathe freely again, enjoying the calm. Every day we let something go, we break clutter’s hold on us. We stop worrying – “oh I might need this, I’ll keep it just in case” – and are ready to pass more and more on to someone who can enjoy them more. Does that sound good? Yeah? Fantastic. Let’s get started with the 5 golden rules, my answers to your FAQS and then the FREE daily declutter prompts. OK so let’s get practical. Stick to your time box : take 5 minutes a day, 15 minutes max and use a timer so you’re not tempted to do more even if you’re on a roll. It must be quick else you won’t stick to it day after day. This is key. Focus on one small area : so you don’t get overwhelmed by all the possible stuff you could let go and drift aimlessly. Open your eyes : to unwanted, unloved, beyond repair clutter hiding in plain sight but don’t pick everything up individually. Seriously, you don’t have time. Without yanking stuff out : shuffle things around a little bit to see better but do NOT make a mess. This is ALSO key. Spot what you are ready to let go : some days it will be 10 things, some days 20, some days 2 but remember the amazing power of numbers and aim gently for 10. By the END of the week make sure that charity bag or recycling or trash is out of your home. If your stuff is still unsold on Facebook donate it. 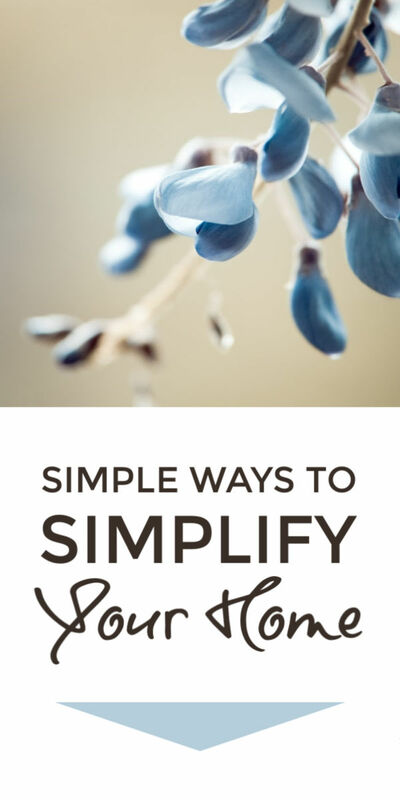 So there we go, super simple rules you can stick to without putting your life on hold. But in case you’re busting with questions check out these FAQs or head to section 5 for the FREE daily declutter prompts. I Don’t Know Where To Start? I disagree with Marie Kondo big time on this. There isn’t a correct order that suits everyone. We all value different things. Start small with low value or no value items you’re not emotionally attached to. The first few days it can just be your wallet or your handbag or one shelf of the fridge. But if you want a step by step plan use the daily prompts below. I’m Still Clinging Onto Stuff? Don’t worry. Just 10 Things is about working with our emotions not battling them. If you keep letting a few things go daily you will find in a few weeks or months you ARE ready to let go stuff you were clinging to. Try and build it into your weekly routine – go every week on the way to the shops or church or swim club. How Can I Tackle Big Stuff? Clearing a few big bits of low value clutter can really clear our head space. And motivate us to clear more. But it will make us feel worse if we drag it out and have it lying around. So only move it enough to take pictures and get these straight on a Facebook freecycle group for FREE collection. I’ve cleared really random junk this way! It IS easier and quicker just to donate stuff. However this isn’t an option for all of us. You can sell high value items on eBay but it will take 30 mins weekly, so start a routine. Alternatively, I sold lots of low value items on Facebook. My secret tip is a collection box in my porch. People pick up when they like without the hassle of agreeing a time and pop the money in my letter box. Post a few things daily on Facebook and it will become an easy 5 minute habit. Not everything will sell but if you’re following the Just 10 Things rules the cash will add up. I do agree with Marie Kondo that we should not declutter other people’s stuff. If you declutter a little daily, your whole family benefit. Less stuff gets lost, cleaning is easier and – the biggie – everyone feels less crazy angry and anxious. And seeing the benefits, it’s easy to join in. If you do have real hoarders I recommend reading Swedish Death Cleaning. The author, Margareta Magnusson, taps into powerful instincts to help us stop clinging. OK so some of us are natural hares. I have crazy bursts of hare like energy when I want everything gone NOW!!! I learned the hard way; it makes a BIG mess. So when I’m buzzing, I do a power purge. It’s mess free and tops up Just 10 Things. Lots of us have basements, garages and attics piled high with forgotten stuff. But we must start small and get the Just 10 Things habit before tackling the monsters. Stick to the daily declutter for 6 weeks then use this guide to tackle boxes and this guide to tackle the other clutter. 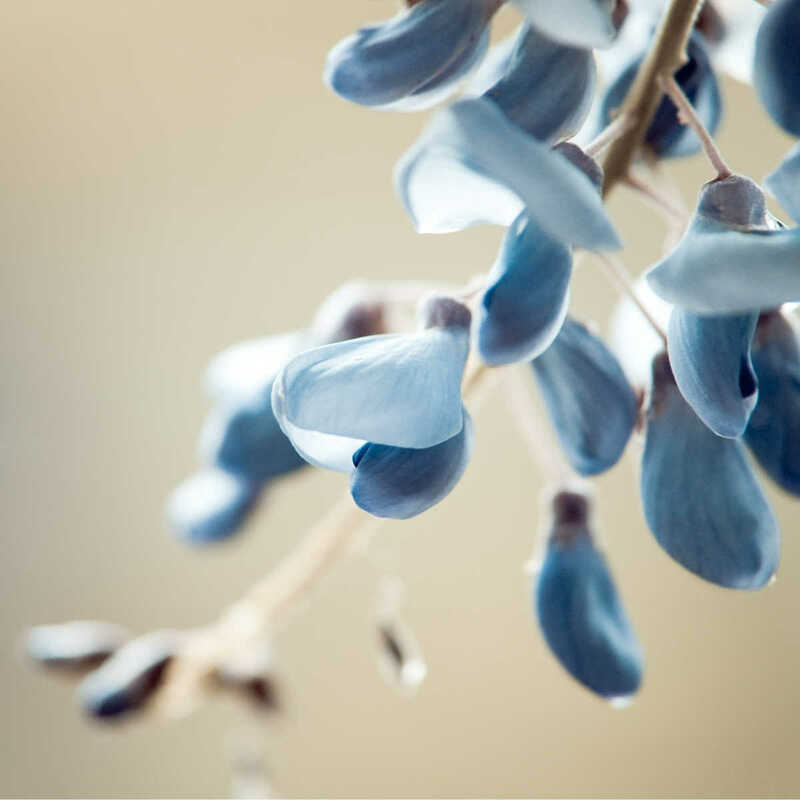 Many of us cling onto stuff when grieving. But we can find we cling onto everything not just loved one’s mementos. We’re scared to let go of anything. Letting go of a few things daily – old fliers, broken pens, expired food – eases that general anxiety and fear. And helps us gently build up to letting go of mementos that don’t bring us happiness. Weaving active memories also helps. OK so hopefully these FAQs will help you make Just 10 Things work for you, in your home. But for more hands on support I’ve got 100 FREE daily declutter prompts for you. First, do you remember our second golden rule? It was: focus on one small area daily. This is super important because once we open our eyes to our clutter in plain sight it IS everywhere. And it makes our head spin. We flit from pile to pile and get nowhere. And this tells our brain we stink at decluttering. So we avoid it like the plague. Again. The prompts are blinkers that help us sing “La la la, I can’t see you” to the rest of our clutter. Each prompt focuses on one tiny area of clutter. And includes 10 items to look out for. Now, you will NOT have all of them. Some will sound downright crazy. But that’s the point. We all have piles of crazy unused stuff. As we look at the list and think “What crazy person has that?” we notice the bonkers thing in the box we haven’t opened in 5 years. And by focusing small, they nudge us to declutter deeply in each little area. So after 100 days you will have freed up space all over your home, and will see easily where to focus next. This is the full list of daily declutter prompts. You don’t have to sign up to access them. They are FREE. But for more support I have a newsletter and friendly Facebook page. OK enough talking. Let’s get started! Thank you for your 10 things a day idea. This is a great way to start, I,ll let you know how it goes, ( now, if I can just stop buying yarn, it will make a big difference !! Love this post – 10 things definitely seems more manageable than surrounding myself with everything and going through it one by one! Off to find 10 things now! As a child I remember my mom persuading me and my sisters to clean our room by picking up 10 things. She made it into a game and even set a timer. It kind of stuck to me as an adult because that’s how I motivate myself to clear up at least 10 things. SO MUCH more practical than KonMarie. I like to watch any declutter show, but her actual method seems totally unreasonable to me. KonMarie is the fad of the moment, but it will pass. One thing to add – the importance of not bringing in more stuff as you slowly declutter! I have this method where I set the alarm for 10 minutes and I tackle a particular area of the house and for 10 minutes I’ll grab whatever I don’t need or use anymore, with the goal of clearing away at least 10 things. This way I don’t feel the task is too overwhelming because I know it’s just for 10 minutes and having a time limit and a specific goal prevents me from thinking too many thoughts like “but I might use this later”. 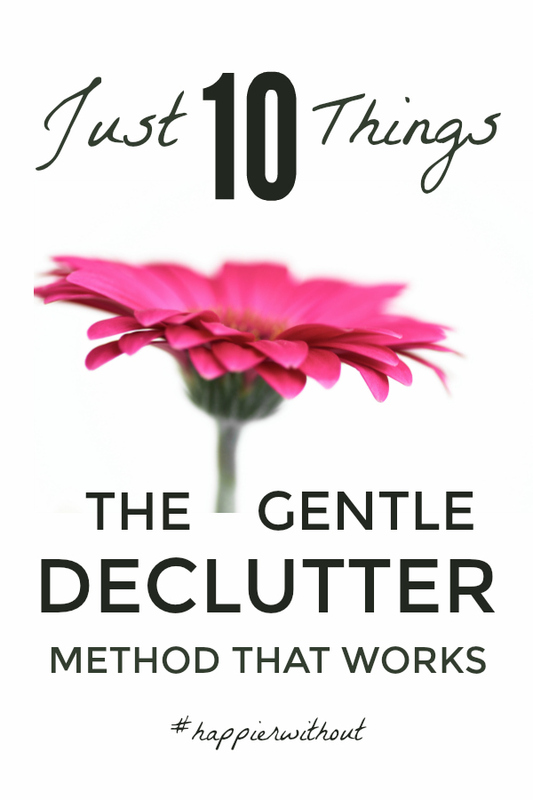 10 minutes and 10 things at a time helped me clear away years of clutter without stressing myself out! That is brilliant to hear Cathy! So glad it helped. Just 10 things really makes it doable doen’t it? Keep up the good work 🙂 And do shout if you ever need help.